In Palm Cove, you will get to experience what a real luxury holiday is, from top-notch accommodation with world-class accommodations and the choicest dining options to iconic attractions and highly-rated activities, you are guaranteed to have the time of your life. 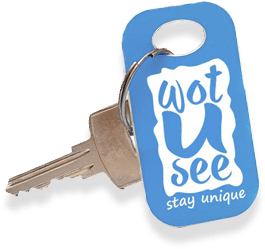 WotUSee is dedicated to helping you to make all that happen! Being one of the top luxury holiday destinations means that Palm Cove has a lot to offer that is sure to satisfy even the most exacting standards. So here are some of what you will expect should you choose Palm Cove for your trip. World-class accommodation. Experience what it’s like to stay in paradise by choosing any of the many world-class resorts, five-star hotels, boutique hotels, and holiday homes that offer excellent facilities and amenities, picture-perfect views, and privacy that will give you the relaxation and rest that you want. Fine dining at your beck and call. You can have your pick of the wide variety of dining options, from 5-star to unique fine dining experiences, and you don’t even have to walk or commute very far to get to them! What’s more, you can have it all delivered to your room, in style! Superior service. From the moment you arrive at the airport until you are brought to your hotel, you will receive treatment fit for royalty. All your needs will be seen to impeccably and all that will be left is for you to enjoy your dream vacation, without worrying about a thing! Ultimate pampering. A luxury holiday will not be complete if you do not get some pampering. Did you know that Palm Cove is the pride owner of the title “Spa Capital of Australia”? Well, now you know, and you should definitely get a first-hand experience of why it got this title, because nothing is more luxurious than being pampered and cared for from the tips of your hair down to the nails on your feet. Iconic attractions all around. In Palm Cove, you have access to many World Heritage sites, including the Great Barrier Reef and Daintree Rainforest, to name a few. If you want to take a break from nature and experience some city action, just head over to Cairns and you’ll find plenty of things to do. There is no denying that choosing Palm Cove for your luxury holiday is the best decision you will ever make. Here, you are sure to make memories that will last a lifetime.